As soon as it starts snowing, the first thing most people think of doing is building a snowman. 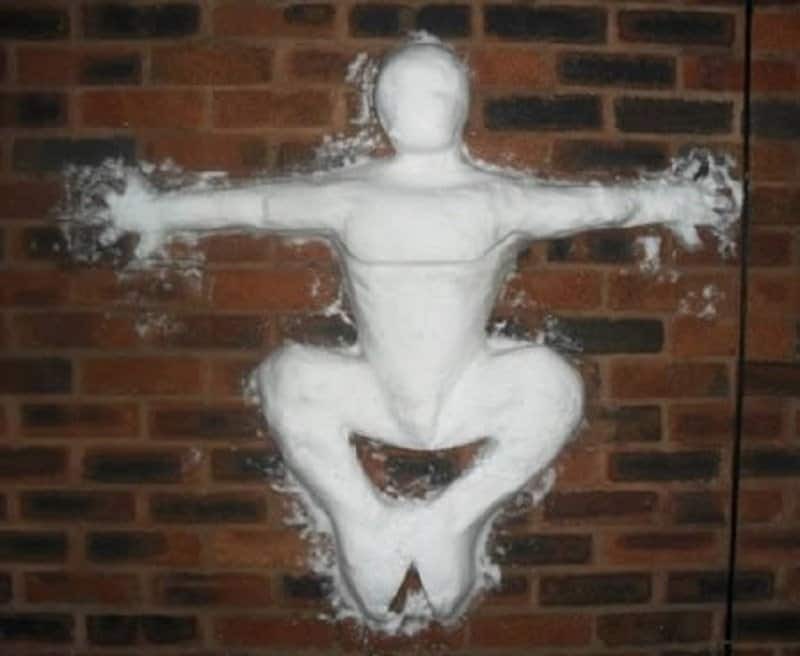 The traditional version of a snowman has been long gone now, and people have begun to get creative with their creations. 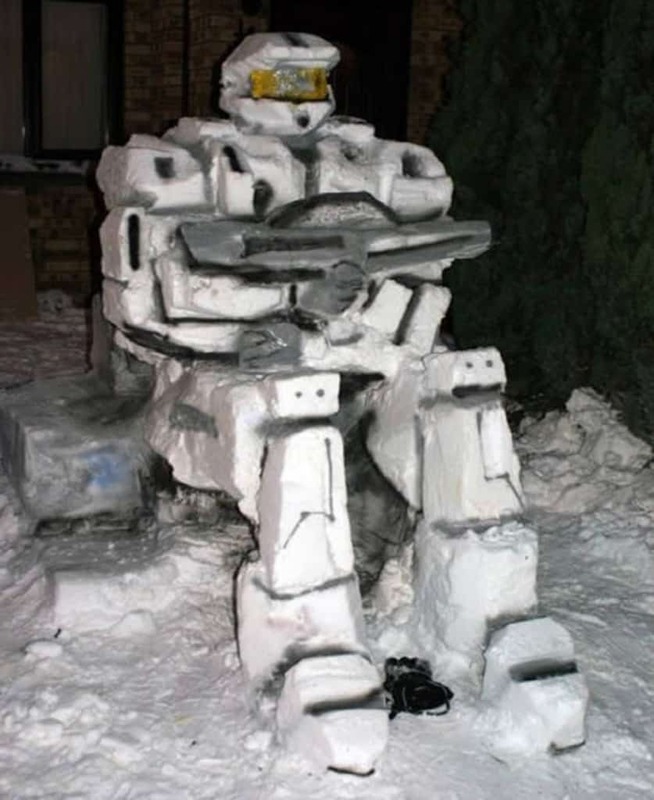 It takes quite a bit of time and effort, but making a funny or cool snowman is pretty awesome. People have been inspired by pop-culture and a lot of other things, which is why we get to see some pretty great ones around. 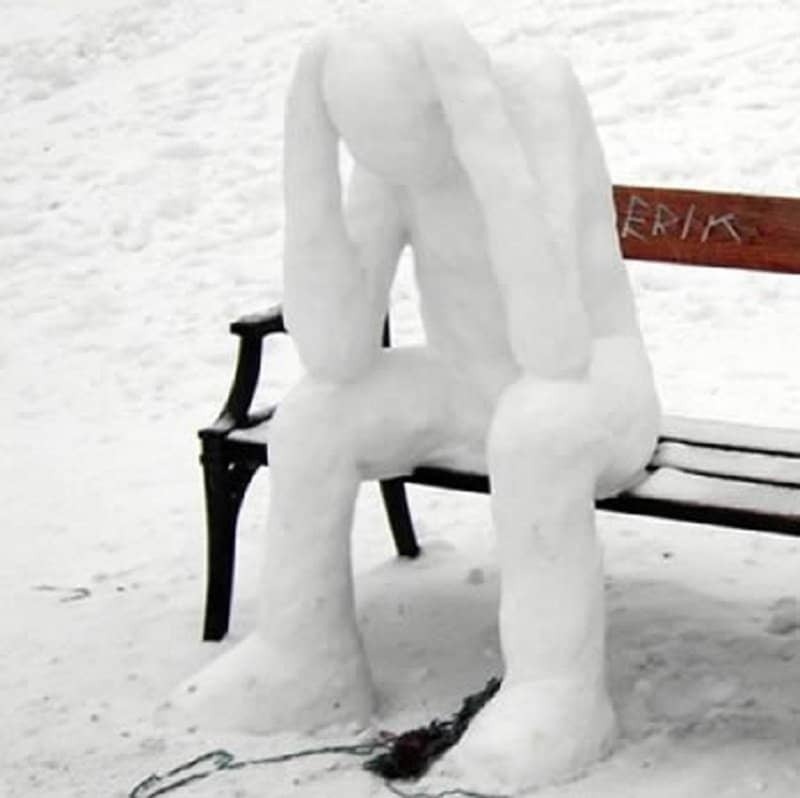 Here is a list of 10 of the best snowmen people have made. Lego mania is at its peak, and it is hard to escape the madness. 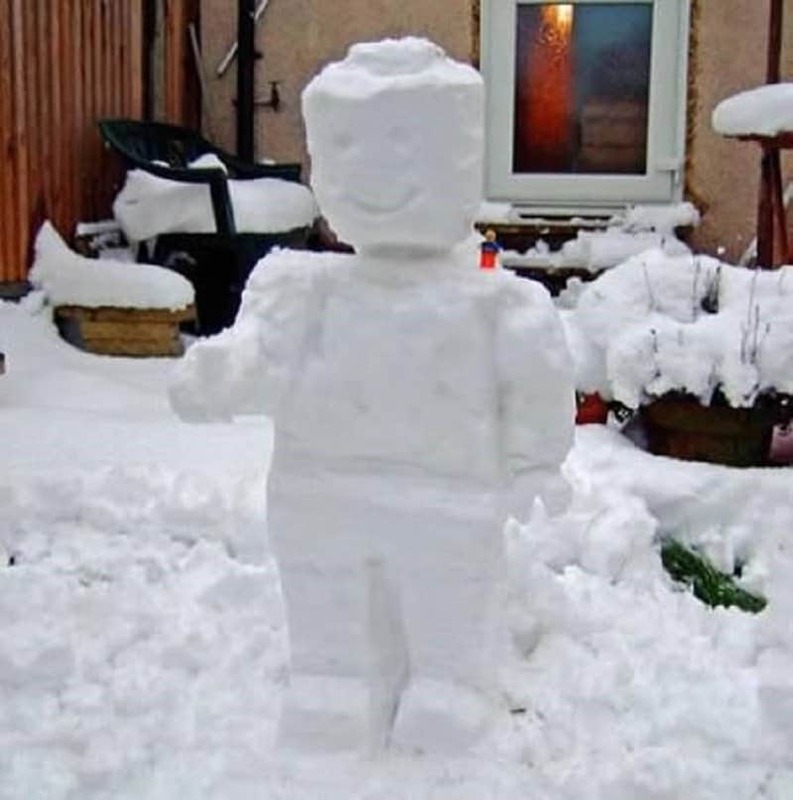 This Lego snowman is still pretty awesome though. Most people think that snowmen are cold, lifeless beings. You should know that if you prick them, they bleed, just like everyone else. 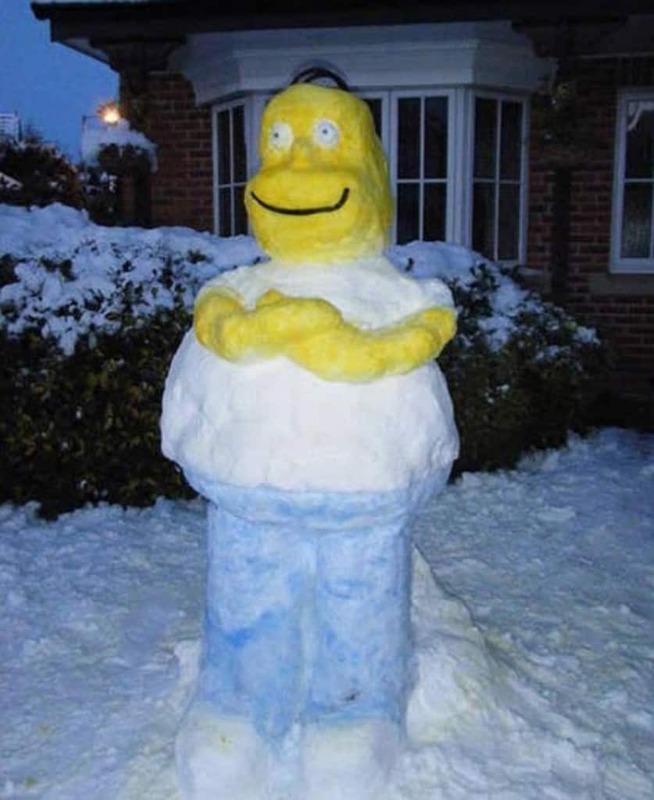 What better way to pay tribute to the most awesome animated character of all-time than to make a snow version of him. 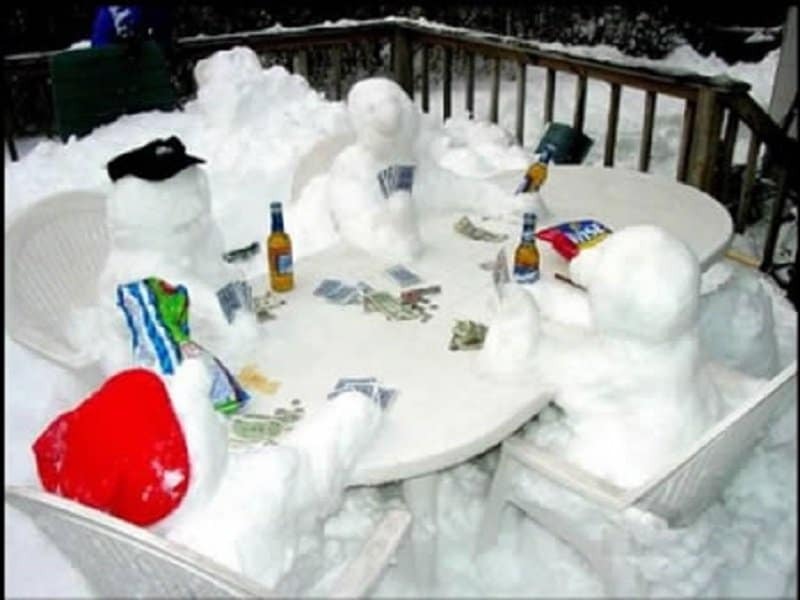 Snowmen are great at poker. Their poker faces are literally motionless, unless it starts to get a little warm. 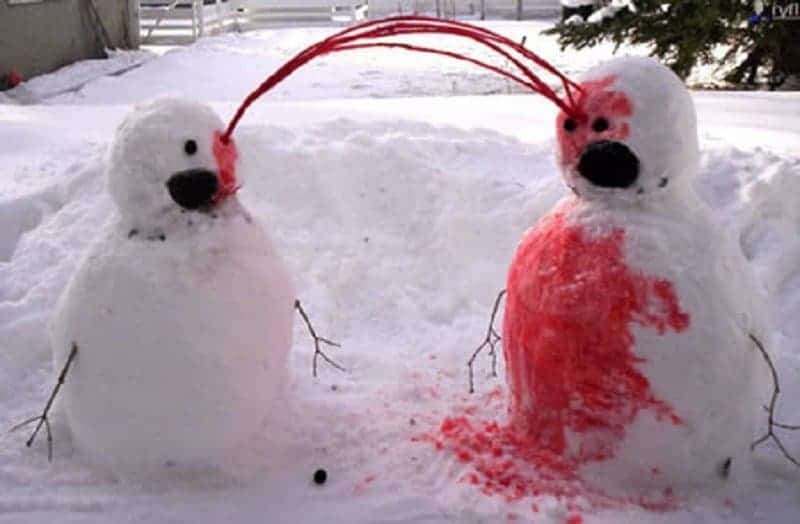 Snow people have problems too. Their biggest worry involves disappearing or melting away in a few days. This is what happens when Spider-Man just forgets to climb off a wall during winter. Someone warm him up with an upside-down kiss please. This has got to be one of the most detailed and intricately made snowman on this list. An awesome tribute by someone who is clearly a fan of the game ‘Halo’. What do you do when it is snowing outside and everything has shut early? 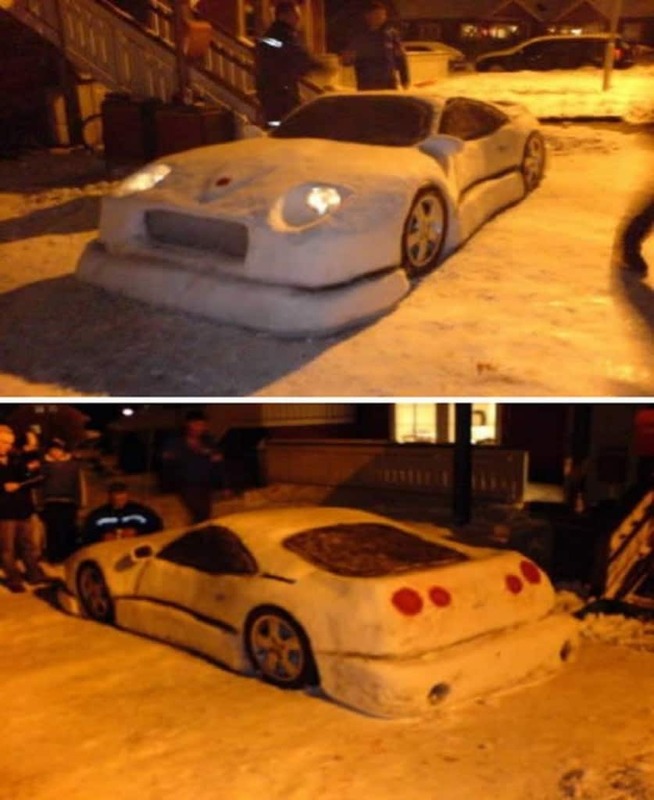 Your car is pretty much useless in this weather, so might as well make a snowmobile. 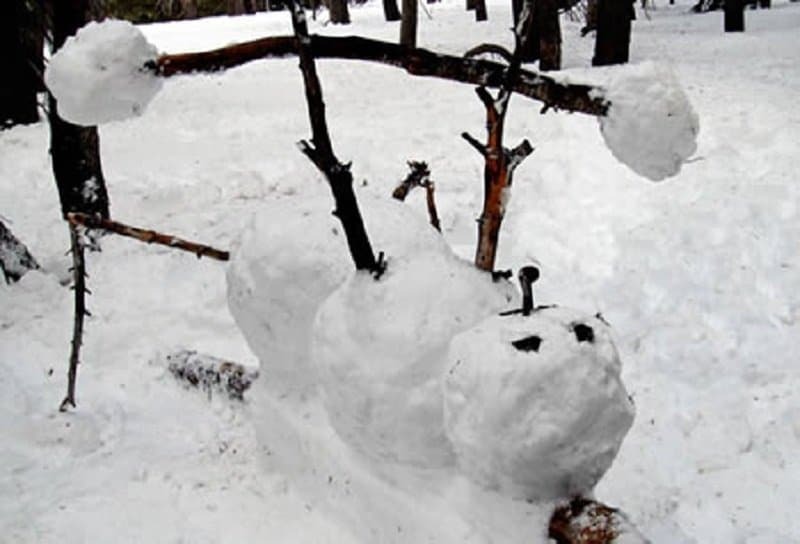 The only way for a snowman to escape the winter season and last till summer is by getting fit and working on his core. I can’t wait to see the little snow baby that comes out of this fun endeavor.